Traditionally, owls carry with them an air of wisdom and mysticism. Paul Anker's interpretation from 1960 is no exception. The owl can embody a variety of emotions. The head is attached to the body by a magnet, which gives it flexibility to be tilted and rotated in all directions. 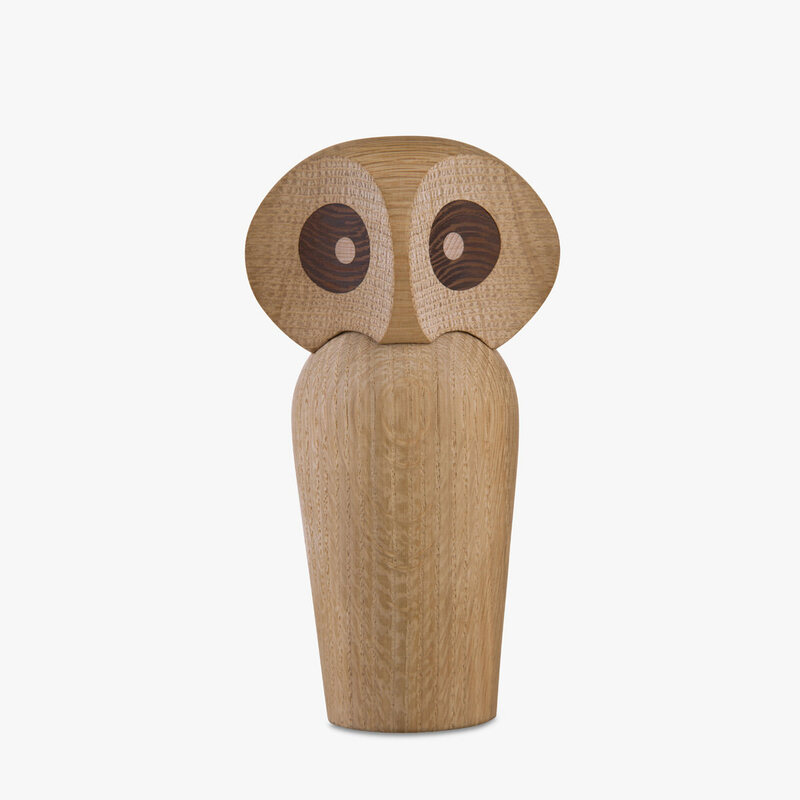 Handcrafted by Paul Anker himself for years Owl is still made by hand at a small wood shop in Denmark in Danish oak and wenge wood.